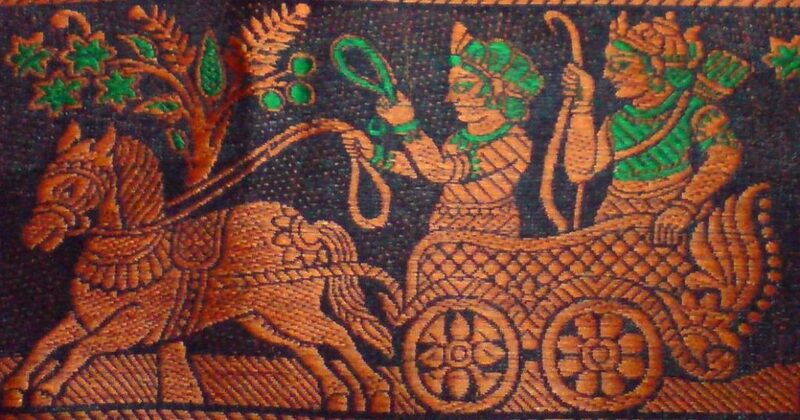 About two hundred years ago the weaving technique practiced in a small village called Baluchar in Murshidabad district came to be known as the Baluchari. In 18th century the then Nawab of Bengal, Murshid Kuli Khan shifted his capital from Dhaka to Murshidabad. It was his patronage of the weaving tradition that led to the development of the Baluchari as a luxury textile that was favored by the elite. 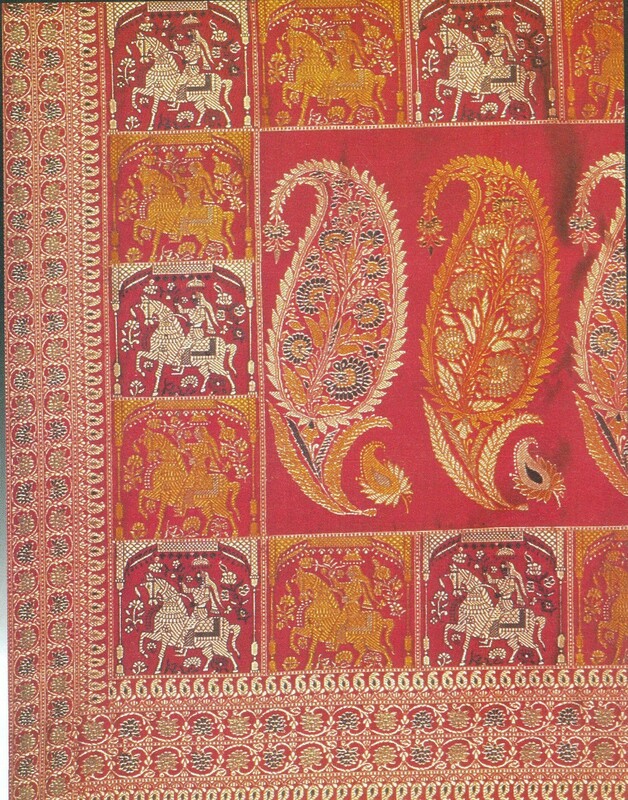 The magnificence of the Baluchari weave was in demand in the Mughal courts and from other royal families of the country. In the middle of the 19th century the elite in Bengal draped the Baluchari. Rabindranath Tagore’s brother Abanindranath wrote that their mother wore a Baluchari on the occasion of “Maghotsava” festivities. The last known weaver of Baluchari was Dubraj Das who died in 1903 and unusually in the weaving trade several saris have been found with his signature – a sign of the high prestige associated with his skill and an exceptional example of ownership of a product among the weaving community. 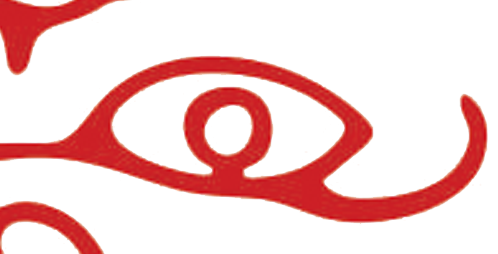 After his death Baluchari weaving languished and the village from which it derived its name, Baluchar, actually was submersed in water because of a deadly flooding of the Ganges. In the first half of 20th century the famous artist Subho Thakur, who was the then director of Regional Design Centre worked to revive the tradition. He invited a master weaver Akshay Kumar Das from Bishnupur, a well known centre for silk weaving, to learn the technique of jacquard weaving. Bishnupur is 110 kilometers from Kolkata and situated in Bankura district. The town is well connected with cities like Kolkata, Durgapur, Burdawan by train and bus. Akshay Kumar wove the Baluchari with the financial and moral support of Bhagwan das Sarda from the Silk Khadi Mandal. This process continued with trial and error. He was joined by Gora Chand and Khudubala a weaver couple from Bishnupur who wove the first Baluchari in Bishnupur using Akshay Kumar’s design.